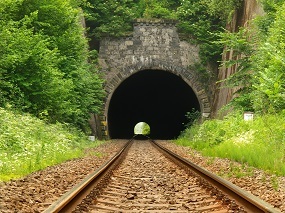 Is there a light at the end of the tunnel of asbestos litigation? It’s been almost 40 years since the first asbestos personal injury lawsuit was filed. Since that time, asbestos litigation has become the longest-running mass tort in U.S.history, costing companies billions of dollars and driving many of them into bankruptcy. RPM International, parent company to brands such as DAP and Rust-Oleum, plans to spend nearly $800 million as part of a preliminary deal to fund a trust that resolves asbestos personal injury claims tied to a business owned by its Specialty Products Holding Corp.
BASF SE, the world’s largest chemical maker, has been ordered to face claims it fraudulently hid evidence that its talc products contained asbestos. According to a 2011 report from the U.S. Government Accountability Office, companies have set aside more than $30 billion for mesothelioma victims claiming exposure to asbestos since the 1980s. But while asbestos litigation isn’t going away anytime soon, there are at least some promising signs that change may be in the air. Mounting evidence over the past several years has started to uncover the massive fraud, misconduct, and dubious legal maneuvering that’s routinely practiced in asbestos litigation: plaintiffs making false and inflated claims, law firms hiding evidence and gaming the system with conflicting stories about how their clients got sick, and judges who have an axe to grind with big business. There’s now a growing crusade to open up the records of thousands of claims in asbestos cases. Asbestos trusts have exploded in numbers in the past few decades, and they’re among the biggest targets of this growing movement. In a January ruling, U.S. Bankruptcy Judge George R. Hodges slashed the asbestos liability of Garlock, an EnPro Industries unit that had been forced into bankruptcy in 2010, by $1 billion to $125 million, citing evidence that lawyers had withheld information about their clients’ exposure to other asbestos products in order to pry larger settlements from Garlock. In December 2013, the House passed H.R. 982, which amends federal bankruptcy law to require asbestos trusts to file quarterly reports describing every demand received from a claimant and the basis for any payment. Big companies such as Ford and Aetna are joining the crusade to keep the pressure on Congress and the asbestos trusts. If this movement is successful, it might finally fully expose a pattern of misrepresentation in asbestos litigation that has cost companies billions of dollars and forced many into bankruptcy. Despite these positive developments, asbestos litigation isn’t going away anytime soon. In fact, it continues to evolve. With existing trust funds stretched to the limit and bankruptcy filings among bigger companies on the rise, plaintiffs and their lawyers are more frequently targeting smaller companies and peripheral defendants. Asbestos litigation is still a very real and potentially costly risk to your business. Make sure you’re taking adequate measures to prepare and protect yourself. For more information about protecting your bottom line from this evolving threat, talk to the New York business insurance experts at BNC Insurance and Risk Advisors.